Today I took my kids to see African Cats. they are off from school for a week, and I'm looking for things to do with them, so since it was supposed to be raining I decided that today was a good movie day! This movie was great! My 5 year old was super excited, she love cheetahs and recently learned about the savannah in school! Towards the end of the movie she was getting antsy & was bored. My son wasn't happy about going but once the movie got going he was totally into it! 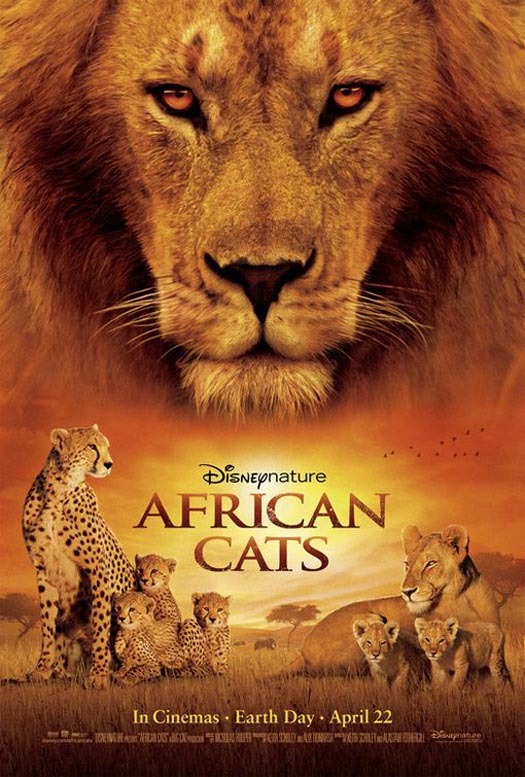 I thought it was good, the narration by Samuel L Jackson was great & the story of these animals' lives was touching. I have to say, it made me tear up on several occasions throughout the movie! Absolutely amazing how these animals survive out there! Afterwards, they played some arcade games and we came back home. End of day 1. Tomorrow I am attempting to visit a farm.....we'll see how that one turns out!